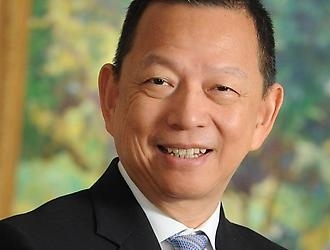 Ken Yeh, former Chairman of Christie’s Asia, has been appointed director of New York’s Acquavella Galleries. Assuming the role in May 2013, Yeh will develop the gallery’s business in Asia while based in New York and Hong Kong. With 15 years at Christie’s specializing in Impressionist and Modern Art, Yeh has established strong relationships with Asian collectors worldwide. Yeh joins co-directors Michael Findlay, Esperanza Sobrino and Tsutomu Takashima at Acquavella. “I am thrilled to be working with Ken again,” Findlay said in an email to ArtAsiaPacific. Findlay hired Yeh at Christie’s 15 years ago, and the two have been friends and occasional colleagues since. Yeh holds an MBA in Finance from Columbia University and a BA in French Literature from Fu Jen Catholic University in Taipei, Taiwan. He was born in Taiwan and is fluent in French, English, Mandarin and Taiwanese. With Yeh’s large network and understanding of how to conduct business in Asia, the appointment is a strategic choice, and certainly more economical than the trend of galleries spending millions of dollars establishing a physical presence in Hong Kong.